Are you confused about the best diet to eat if you have hypoglycemia? If so, you’re not alone. There are so many different theories on what you should and shouldn’t eat if you have hypoglycemia. 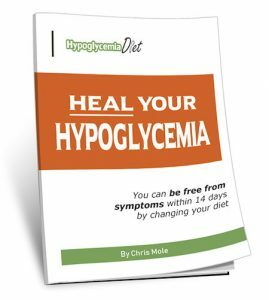 I’d like to help you by sharing the knowledge I have gained about hypoglycemia and diet during the past 25 years. I’m Chris Mole. 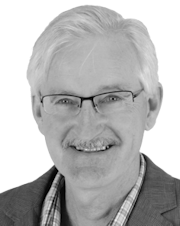 I was first diagnosed with hypoglycemia in 1978… when I was just 22 years old. I have studied extensively on the subject since then and tried just about every kind of diet that has been recommended for hypoglycemia. I’ve discovered through trial and error what works for me. My hypoglycemia is totally under control now. I feel great most of the time… unless I slip up and have a binge on something sweet. Then I feel the bad effects for a day or two afterwards. But at least I know why I feel bad! I got confused by all the different advice. The more I read, the more confused I became. Some say you should follow an Atkins-type diet… low carbohydrate and high protein … others say a low-fat diet. And what about coffee… and alcohol? Everyone agrees you should not eat sugar… or do they? One of the few constant factors in diets prescribed for hypoglycemia has been the advice not to eat sugar… in any form. But now, there’s a new concept called the ‘glycemic index’ of foods, which is turning this idea on its head. According to the glycemic index theory, foods affect your blood sugar in different ways, according to how fast or slowly they break down. Some foods break down quickly… and give you a rush of glucose that causes hypoglycemia. Other foods break down slowly and keep your blood sugar more stable. But not everyone finds the glycemic index theory works for them. It seems, every body is different. Or are we? 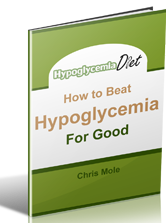 My vision for this site is to include all the useful information I know about the best diet for hypoglycemia. This site won’t be just a lot of technical and medical stuff. If will stick to the things you really need to know… how to eat right to get well. Do you have a question about hypoglycemia and diet? I intend to include questions and answers about hypoglycemia and diet on this site. If you would like to ask a question, you can email me. I hope you will come back to this site over the next few months as it grows. 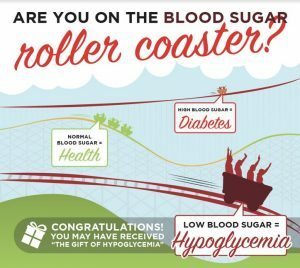 “Hypoglycemia, the Blood Sugar Roller Coaster” – a great infographic about low blood sugar. 360 Degree Health. If you are interested in the subject of diet and health, you will enjoy 360 Degree Health. It does not promote any extreme diet fads but a common sense approach. It is aimed mainly at people who are suffering from less than perfect health, who have tried lots of different diets and restricted eating, and come to the end of the road. If this is you, if you are looking for a common sense approach to diet and health which you can live with for the rest of your life check out 360 Degree Health.